This famous Irish blessing is a perfect sentiment for so many occasions. 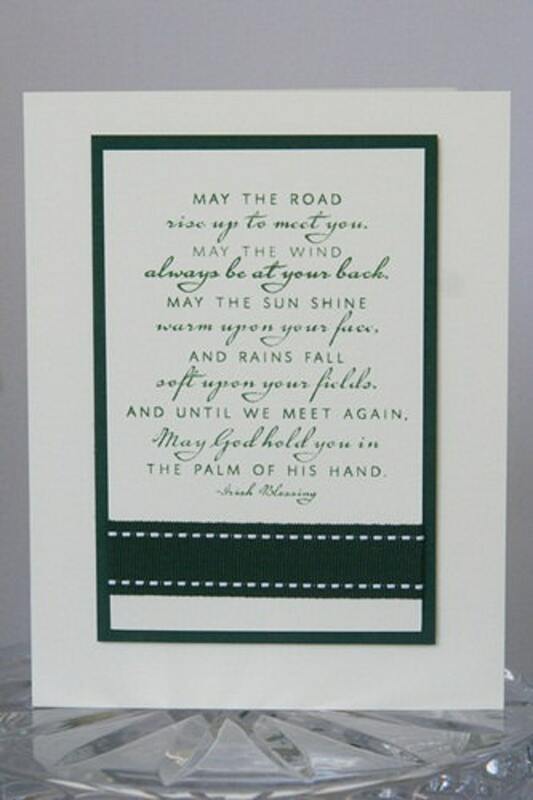 Whether you are sending cards for St. Patrick's Day, a birthday card with a Celtic theme or even a good luck or thinking of you card, this sentiment is a lovely way to express your thoughts. 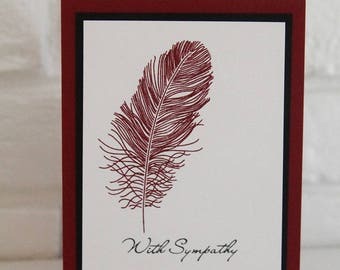 The sentiment is hand stamped in a deep green onto ivory card stock. Hunter green ribbon accents the sentiment while hunter green card stock highlights it as a layer below. The card measures 5.5 x 4.25 inches. Excellent, as always!! Love these cards!! Great cards (I love the verse) and prompt delivery! !